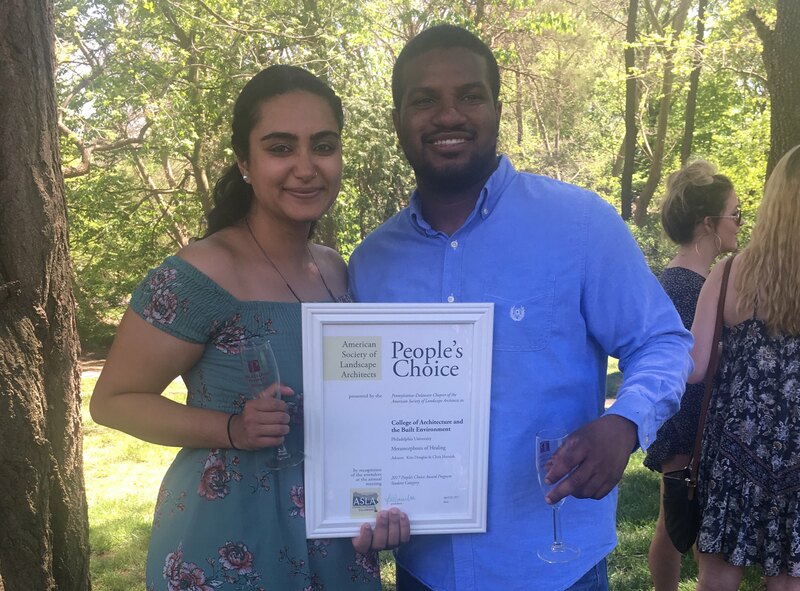 Philadelphia University fourth-year landscape architecture student Hakeem Wilson and fifth-year architecture student Rajvi Vyas won the People’s Choice Award at the Pennsylvania-Delaware American Society of Landscape Architects Conference April 25. Landscape architecture professionals selected their project, “Metamorphosis of Healing,” from a field of 20 submissions. The students’ work focused on plans for the Limbe Medical Complex in Malawi, which would use environmental strategies throughout the site to embody holistic healing and bring together culture, natural systems, civic pride and democracy into an inclusive setting.